For the past several years I have been creating “Ability Guidebooks.” These are simple books that give a step-by-step instructions on how to visit places in the community. 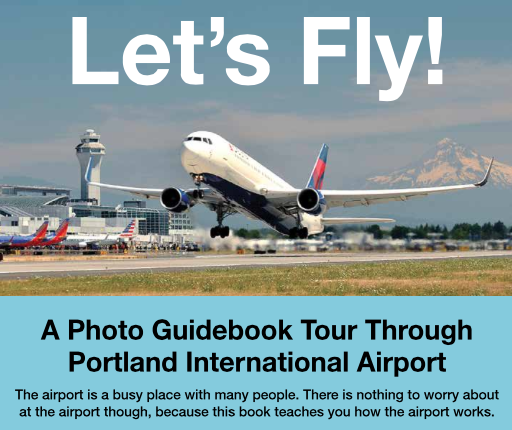 Most of my books have been for the Portland, Oregon area but each time I travel I try to take pictures to create new books. This past summer I had the absolute honor to be named and National Education Association Foundation Global Fellow. With this honor came the chance to travel to Peru to meet with teachers, students and administrators as well as meet the Peruvian Ambassador to the United States. I tried to think of a way to thank Peru for their wonderful hospitality and it became clear. My thank you would be a book for those people in Peru who have autism. This is the English version but a Spanish version is coming soon. Dear Peru, You opened your arms to the 2015 NEA Global Fellows and showed us amazing hospitality. Please accept this token of thanks from an American Special Education Teacher. It is my hope that there will be people in Peru who will benefit from this guide. Thank you to Kristen Record, the Connecticut State Teacher of the Year and Global Fellow for being a good sport about me taking her picture! 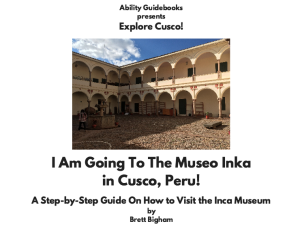 I Am Going To The Museo Inca In Cusco, Peru! I am very excited to finally have my website up and running! I cannot wait to share projects, inspiration and ways which we can support the teachers and students all over the world. As the 2014 Oregon State Teacher of the Year and one of the 2015 National Education Association Educator of Excellence winners and through my participation in the NEA Foundation Global Fellow program, I have had the honor of visiting schools all over the world. In those travels I have seen how education is the great equalizer. It does not matter what country, what language or what religion a person may be, but it is education that makes them all equal. It will be my honor to support teachers and I look forward to hearing from you! Author Brett BighamPosted on February 19, 2016 February 20, 2016 Categories Uncategorized1 Comment on Hello world!